As most of these stories go, I met Mike Hoffman in college through friends of friends. Mike ended up graduating a couple years before me and moved to South Carolina to pursue his dreams. After working for a few years, he turned one of his hobbies of making his own chocolate into a budding business, Bitte Chocolate! I’m always looking for things to fulfill my life; finding my passions and making them prevalent in my day to day life. I think it’s really brave that Mike has taken this leap of faith to follow his passion. Check out the interview with him below! Tell me about Bitte Chocolate! Where did the name come from? Bitte Chocolate started my senior year of college. My friend Sarah and I started messing around with making chocolate. Well… it was more like she was watching while I made it but nevertheless she was there. I I started out by using different kind of beans and a small food chopper to chop up beans and sugar. I had a hard time with texture/grittiness because I was using a mortar and pestal. Professionally, this process (called conching) takes about two days. My chocolate was very gritty, almost like Modica Chocolate where they do not conch and the sugar is still big and gritty. After graduation I moved down to Charleston, SC and didn’t make much chocolate at the time. I worked for a French Chocolatier for 6 months but became bored doing the same things over and over again. In the beginning of 2014, I bought equipment to really make chocolate. At first, I was just playing around when my boss encouraged me to turn it into a business. I was skeptical; I didn’t want to ruin my love for making chocolate by turning it into a business and having to do it all the time. So I took it slow and never let it overwhelm me. It has slowly formed into what you see today after a year of formula testing and packaging design. The name was the hardest part of the entire process. I wanted something strong, classy, and not cheesy. I came up with a hundred different names but couldn’t decide on one. I always pictured something that was short, sweet and too the point but could never quite put my finger on it. I would dream about it, wake up and write the word but nothing seemed to fit. After about 3 months of brainstorming, I was bouncing ideas off of my roommate and she recommended something like bittersweet. It was too cute and nice; it wasn’t me. Then a light bulb went off! Bitte (bit-tah) is the German word for ‘you’re welcome’ or ‘please’. 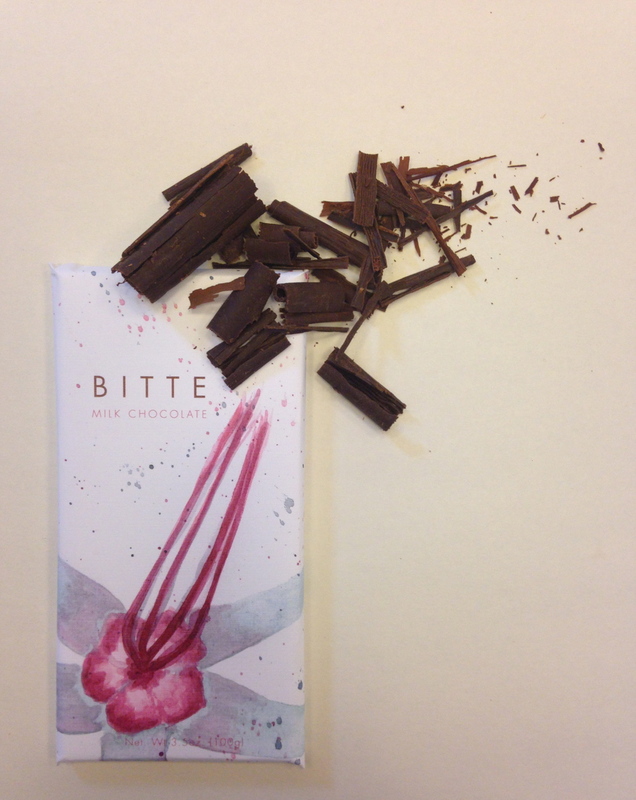 After researching, testing the word on friends and chatting with a german exchange student from high school, I settled on the official name Bitte Chocolate.I find that the word Bitte is a perfect fit for my chocolate as I produce chocolate with strong flavors uninhibited by vanilla or other flavorings. What inspired you to start your own company? How have you broken into the market? Ever since taking a chocolate class in college, I fell in love and knew I wanted to be a chocolatier. I feel like most great pastry chefs are great at chocolates. Chocolatiers are always seem very confident. I think I started this company because I saw a void in the market here. Charleston has such a great food scene- it’s impossible to come across a bad meal. I figured that if there was any time to do it, it was now! It was perfect- I love to make it and market needs it. I have had a very soft opening for the most part, and I am just starting to sell to local businesses. Explain the chocolate making process. How long does the entire process take? Once I receive the beans, I roast them. I make sure to test the beans by eating a couple to double check they are up to my standard. I then winnow/ grind them. 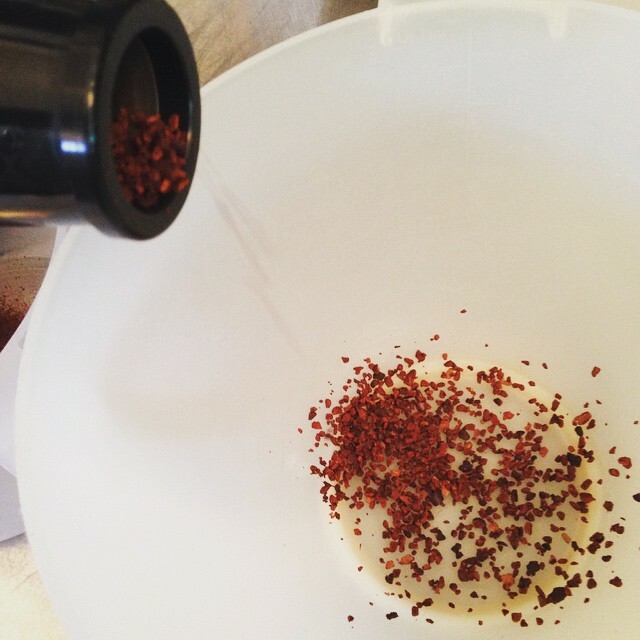 Winnowing is the process of separating the bean from the skin. After grinding them, I add cocoa butter, sugar and sometimes milk depending on the kind of chocolate I am making. After, I put the mixture in a melanger which are stone rollers that crush the sugar small enough so it creates a smooth mouth-feel. This part of the process takes about two days. Once the chocolate is ready, I temper** and mold them. I let them sit, wrapped in foil for about 3 weeks to mellow out a hard acidic flavor from the beans. Once they age, I package and sell them! So the entire process takes a little over three weeks. Where do you source your ingredients? Any particular reason you pick that location to source from? I get my beans from Peru. I’ve tried dozens of different beans but prefer the ones from Peru called Criollo beans. 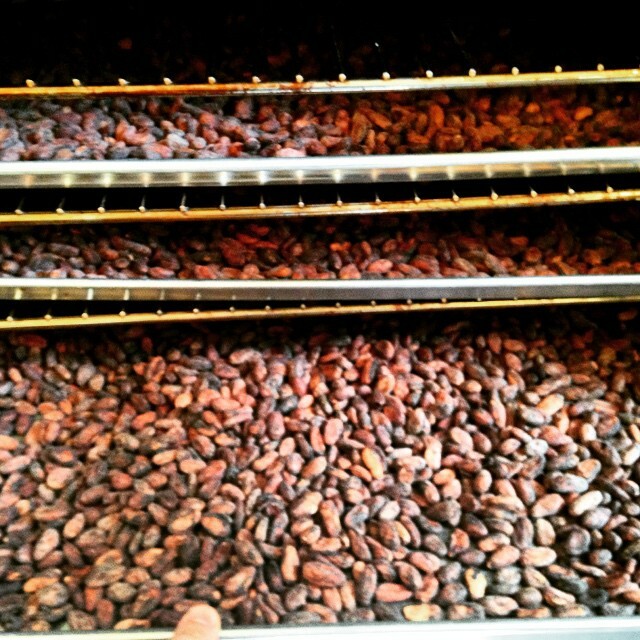 Criollo beans make up 1% of cocoa beans in the world, but have the best flavor! I also get beans called Tumbes.They have a malty fruity flavor that really helps bring out the chocolate flavor! How did you get started in the industry? What keeps you passionate? I don’t know exactly how I got into the industry but I think I can speculate. As long as I can remember, I wanted to be a chef besides the usual pipe dream of astronaut or baseball player. Being a chef was the first real job I wanted to do. I hear from my friends that they got into the industry because they loved making things with the mom/grandmother or something cheesy like that but I just had the love of food in me.. In high school, I had figured out that I liked baking more than cooking which eventually lead me to pick the four year pastry program at Johnson & Wales University. What keeps me passionate? What doesn’t keep me passionate is the real question. I love everything I do. Everything about chocolate is amazing. I love that I can be artistic as well as scientific. It’s hard to put into words the way I feel about my craft. I commit so many hours to my job and it can really wear on you but it’s still amazing to be able to produce these lovely works of art.I was sitting at a chef’s table, watching the wonderful ballet that is a kitchen and my heirloom tomato came out. Before I took a spoon and destroyed it, I stopped and took a step back and admired it’s beauty. I took a bite and savored every moment of that delicious tomato. I thought about everything that it had been from the farm to mouth. I feel like people need to see that food isn’t just a way to survive. What’re your future goals for Bitte Chocolate or otherwise? My future goals are just to grow. Right now, I am just doing it in the back of the bakery but would like to open up my own place when the right time comes. I have a couple of ideas brewing at the moment. I don’t want to get too ahead of myself or give away any of my secrets! I have noticed in my time making chocolates, that some people are afraid to admit milk chocolate is there favorite. Milk chocolate shouldn’t just be related to Hershey products or other products loaded with sugar and vanilla. I’m confident I have a milk chocolate bar that people won’t be afraid to say they like! My milk chocolate uses high volume cocoa liquor and milk to give it a high end taste and a less sugary taste. 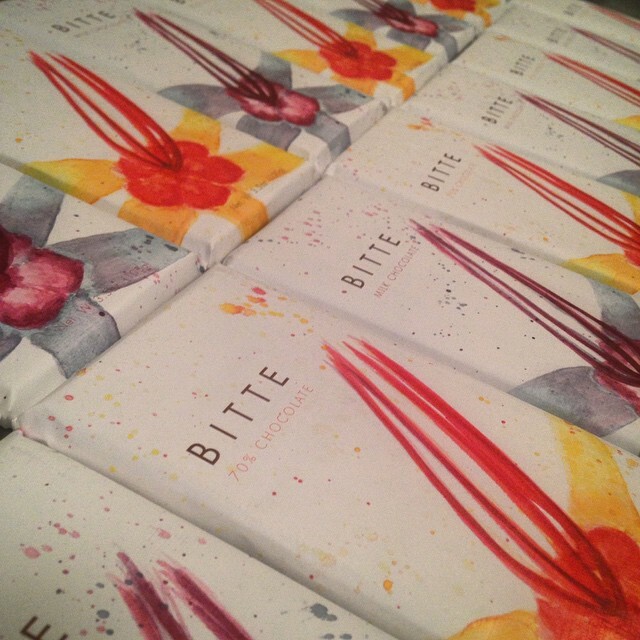 If you are in Charleston, you will start to notice Bitte Chocolate popping up in local shops! We hope to start shipping this fall. You can go to our website at bittechocolate.com or follow us on instagram bittechocolate or on Facebook! I hope you guys enjoyed another inside view into the industry! I wish Mike the best of luck and I can’t wait to order chocolate bars from him! Check back on Tuesday for a new post!